With the exception of a few software and hardware vendors who sell super-expensive products to the largest enterprises, a large percentage of tech companies uses the Value Added Reseller (VAR) channel to one extent or another. So how do you best go about doing this successfully? Create a great product, throw it to the channel, and sit back and collect the money? If only it were so! Unfortunately, many tech companies new to the channel find out the hard way that you will fail by taking the term “seller” in the VAR label too seriously. For those with experience in the VAR channel, you know that it is still incumbent upon the vendor to create end-user demand for their product. And yes, you need to market to the VARs as well. You of course will take whatever “push” you can get from the channel. But counting on VARs to push is a huge mistake; you must have an active pull-oriented promotional program aimed at end users for a realistic chance at channel success. 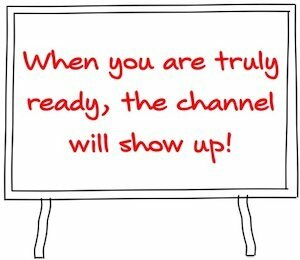 That’s my quick primer on successfully promoting your products for sale through the VAR channel. Many of you have your own experiences in this area; post a comment or a question to activate our discussion. Good read. I’m interesting in your opinion on how/if the VAR channel will evolve as we all eventually move to a cloud model. Does the VAR channel exist on the IT supply chain in the future? A very interesting question, and one without a definite answer. My opinion is that the VAR channel doesn’t go away, but it will morph into a different form. VARs since the beginning (when Computerland and competitors split into tech retail and VARs), and tend to be very entrepreneurial and adaptive by nature. They are service organizations and will adapt to the new needs–and there will always be needs–app customization, integration, custom solutions not provided by the standard app folks. Individual VARs may not be available to change and will fade away, but not the channel as a whole. If we look at the VAR in the Telecom world they are a prime example of how key VAR’s have had to morph and adapt their world with the changes in Phone technology over the last 8 years or so. In the past you may have had 2 distinct VAR’s servicing an organization. One for their IT needs and a completely separate VAR dealing with the phones. As networks grew and INTERNET connectivity became a reality a VAR needed to jump into either typical IT and Network space or the IT VAR had to move into the Telecom space. Now with IP phones being the lions share of new phone systems sold a VAR had better be able to work in the combined space because the old segmentation of voice verses data is all but gone in the market. The voice VAR from the past suddenly had to develop data network design and implementation skills as well as in some case the ability to handle outsourced projects. Gone is the world where the PBX was a entity that did not have to play at the users desktop level and connectivity. Many of the Telecom VARS have made the transition or Morphed into both worlds successfully while some have gone by the wayside or have been acquired and key talent retrained for today’s technology which continues to evolve. If a VAR is to survive they will need to be at the lead of the learning curves and continuously evolving.